Khimki Moscow Region became the second team to qualify to the Turkish Airlines Euroleague Top 16 from Group A by downing Strasbourg 69-78 on the road on Friday. 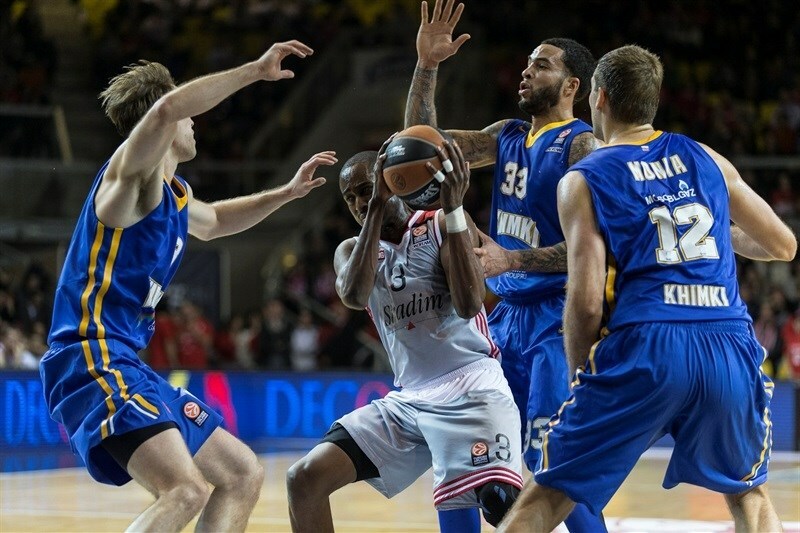 Khimki improved to 5-4 and made it to the next round, while Strasbourg dropped to 3-6 and must beat Real Madrid in the Spanish capital and wait for other scores in order to advance next week. 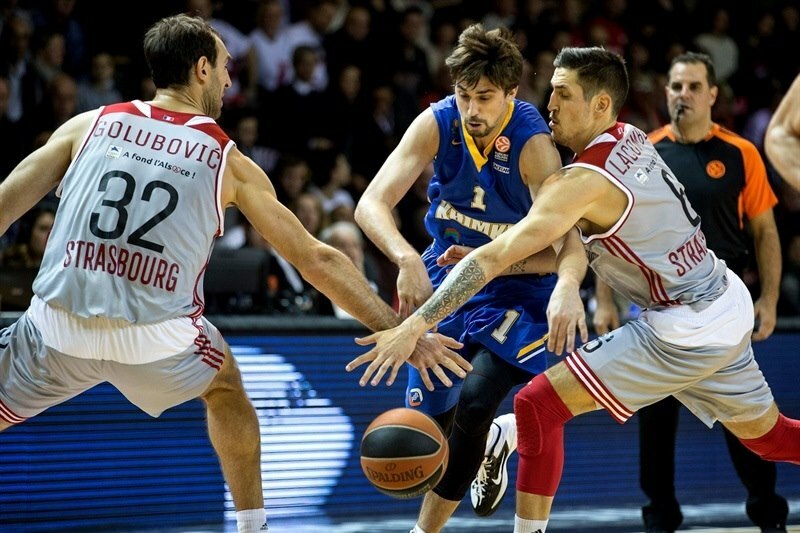 Alexey Shved led the winners with 23 points. Tyler Honeycutt added 15 points and 19 rebounds, a new Euroleague season high and the best mark in the competition since 2011. Marko Todorovic had 14 points while Tyrese Rice got 12 for Khimki. 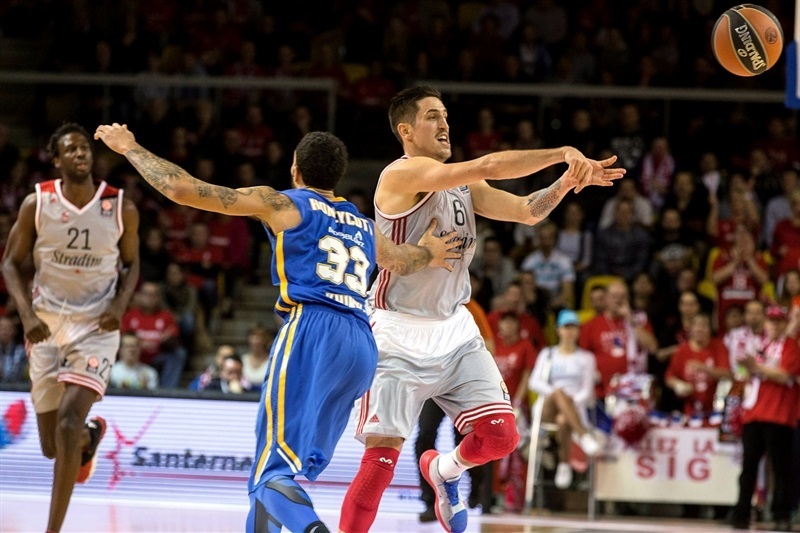 Kyle Weems led Strasbourg with 14 points. 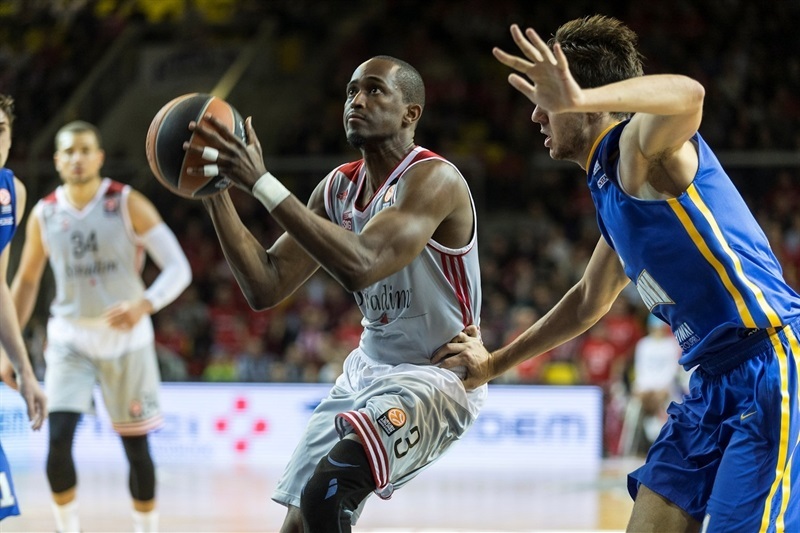 Rodrigue Beaubois added 13 while Vladimir Golubovic had 12 for the hosts, who led 24-20 after 10 minutes. Shved and Honeycutt allowed Khimki to get a 43-45 edge at halftime. A layup by Todorovic gave Khimki a 57-59 lead after 30 minutes but Weems and Golubovic restored a 66-63 Strasbourg margin with six minutes left. It didn't last long, however, as Todorovic and Shved fueled a 0-15 run that sealed the outcome and sent Khimki to the next round. Honeycutt got Khimki going with a corner triple, but Beaubois answered from downtown and a fast break layup by Weems gave Strasbourg a 5-3 lead. 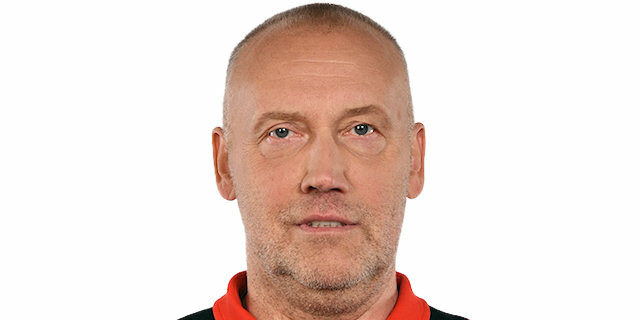 Sergey Monya buried a three-pointer, but a power layup by Golubovic restored a 7-6 Strasbourg edge. 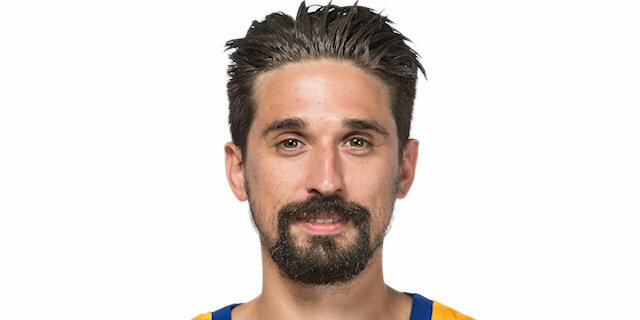 Shved shined with a driving layup and a red-hot Honeycutt followed a tip-in with a close jumper to boost Khimki's lead to 7-12. Golubovic made free throws and an uncontested slam by Weems caused the guests stop the game at 11-12. Rice made free throws, but Matt Howard banked in an off-balance triple and a layup by Golubovic put Strasbourg back ahead, 16-14. Shved scored in penetration and another tip-in by Honeycutt restored a Khimki edge. Paul Lacombe followed a dunk with a jumper and a dunk by Mardy Collins gave the hosts a 22-18 lead. Free throws by Shved and a jumper by Romain Duport fixed the score at 24-20 after 10 minutes. Todorovic scored down low early in the quarter, but Lacombe quickly answered with a mid-range jumper. Khimki struggled to find open shots, but raised its defensive intensity with Zoran Dragic and Egor Vyaltsev together on court. Meanwhile, a five-meter jumper by Petteri Koponen forced Strasbourg to stop the game at 26-24. Beaubois found space for a wide-open three-pointer but Rice followed a one-handed floater with a layup that made it 29-28. 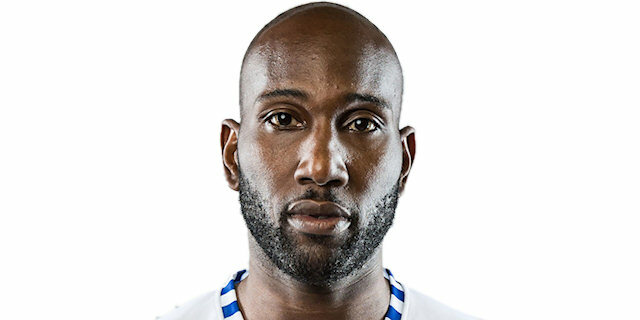 Beaubois scored in penetration and added a corner triple that ignited the crowd at 34-28. 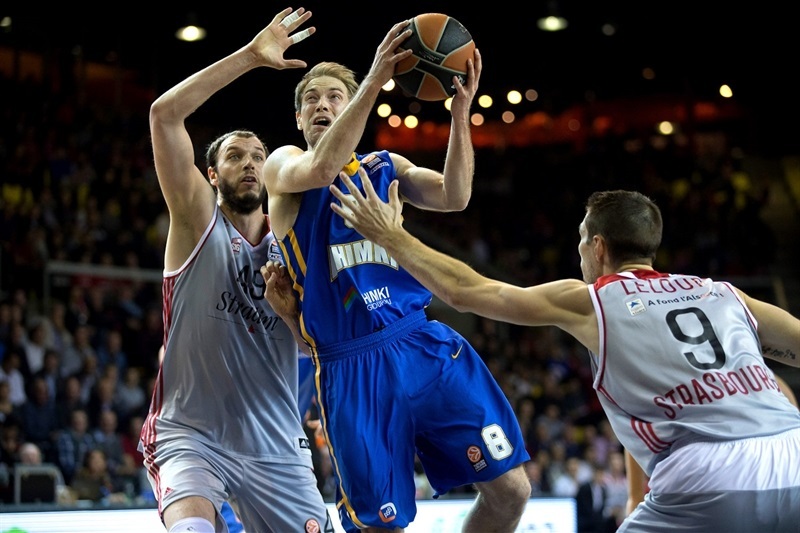 Todorovic hit free throws, Duport shined with a reverse layup and a jumper by Koponen kept Khimki within 36-32. Duport kept pacing Strasbourg with a put-back basket, Rice answered with a driving layup and Monya did better with a corner triple that brought the guests as close as 38-37. Shved struck twice from downtown and James Augustine added an alley-oop layup, but Weems followed a dunk with a buzzer-beating triple for a 43-45 score at halftime. Louis Campbell struck from downtown off the dribble soon after the break and Jeremy Leloup added a layup to boost the hosts' lead to 48-45. Khimki struggled to score for more than two minutes until Rice stepped up with a driving layup. Shved soon added a three-pointer to put the guests back ahead, 48-50. Weems banked in a close shot and soon added a three-pointer in transition to cause Khimki to stop the game at 53-50. Honeycutt stepped up with a close basket and Howard made free throws, but even though Strasbourg kept powering the offensive board, shots did not fall in for the hosts. Todorovic tried to change things with a put-back layup. Collins scored in penetration and Shved took over with an electric layup in transition - and the free throw that came with it – to tie the game at 57-57. 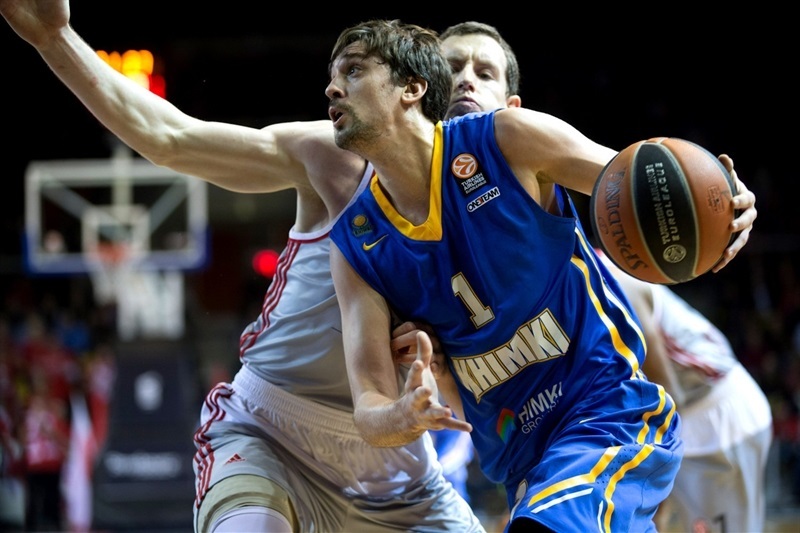 Todorovic kept pacing Khimki with a second-chance layup that restored a 57-59 Khimki lead. 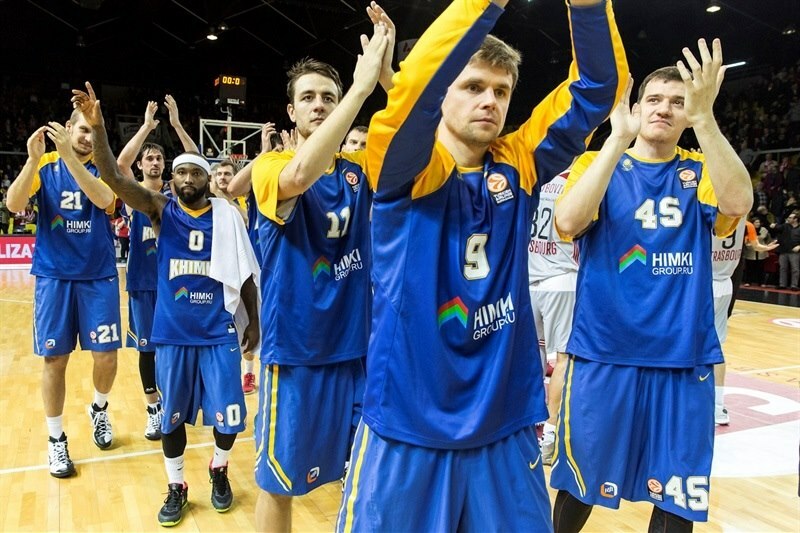 Fourth quarter: Khimki returns to the Top 16! Rice shined with a step-back jumper early in the quarter, but Golubovic buried a four-meter shot for a 59-61 score. Khimki started to miss open shots and Golubovic swished another mid-range jumper for a 61-61 tie. 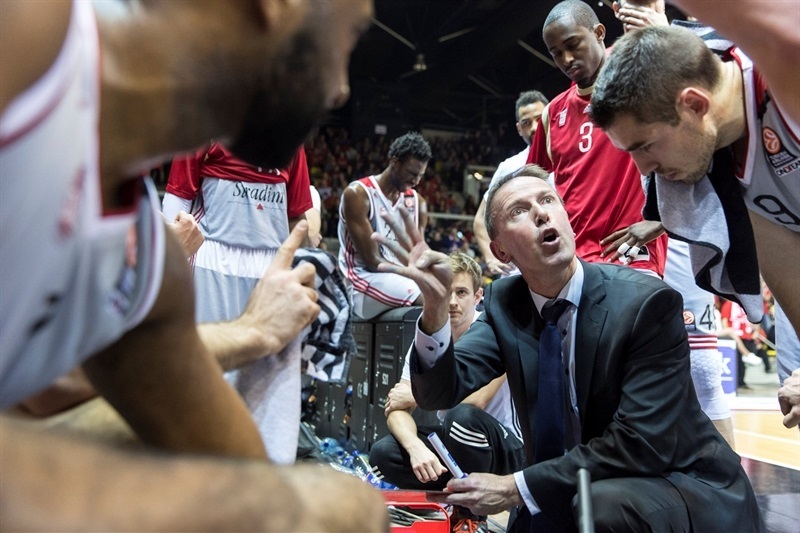 After Campbell nailed a three-pointer, Honeycutt answered with a put-back basket and free throws by Golubovic gave Strasbourg a 66-63 edge with six minutes left. Todorovic shined with a backdoor layup and a jump hook to put Khimki back ahead, 66-67. Todorovic collected a steal, which allowed Koponen to score at the other end and Shved added a fast break slam for a 5-point Khimki lead. Honeycutt kept dominating the boards and a three-pointer by Shved sealed the outcome at 66-74 with three minutes remaining. 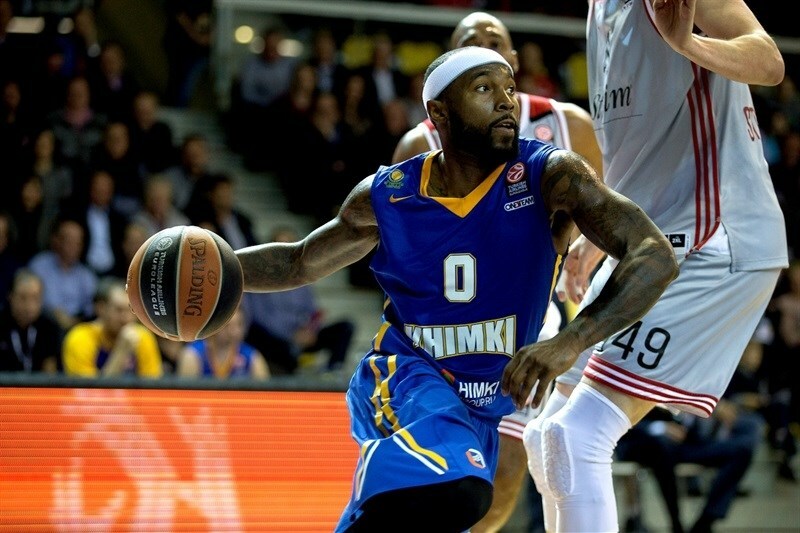 Strasbourg kept trying, but Honeycutt made free throws and a layup by Todorovic allowed Khimki to celebrate its ticket to the Top 16m a couple of minutes before the final buzzer. 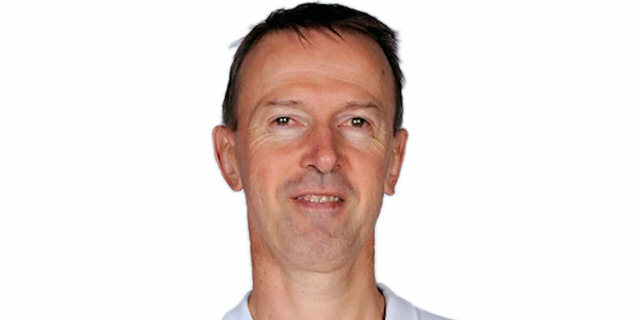 "Despite the defeat, we played a great game. We defended well as a team. But we were dominated in rebounds. We lost balls in the last quarter that made us lose this game. We played 36 minutes in this game ... To win a game you have to play 40 minutes. Despite the defeat, I'm proud of my team. We are not eliminated but it will require that we win in Madrid. We will play our chances till the end." "I'm happy to win this game because it’s hard to win here. Strasbourg is a great team. They won against Fenerbahce and Madrid. We were prepared for this type of game, a tough game. Strasbourg played very well during three quarters, but we made the difference during the fourth, at the end of the game. This is a good victory for us." "We played three good quarters. It is difficult for a young team like ours to stay focused throughout the game. We were dominated in rebounds and we have not been consistent. To hope to win this kind of game, we must be constant for 40 minutes. We have played three quarters of the time. It’s too bad. It's not over. We have a chance to qualify but it will mean we must beat a very strong Madrid team." "Everybody played hard and it was a tough game. We played it until the end. Five minutes before the end, the winner was unknown. We just made couple more shots."